Load the Olivetti faces data-set from AT&T (classification). Specify another download and cache folder for the datasets. By default all scikit-learn data is stored in ‘~/scikit_learn_data’ subfolders. 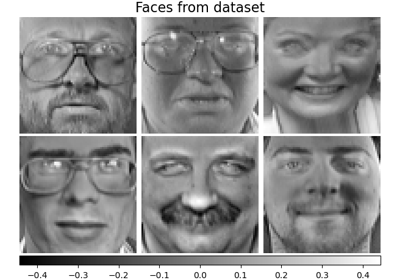 If True the order of the dataset is shuffled to avoid having images of the same person grouped. Determines random number generation for dataset shuffling. Pass an int for reproducible output across multiple function calls. See Glossary. 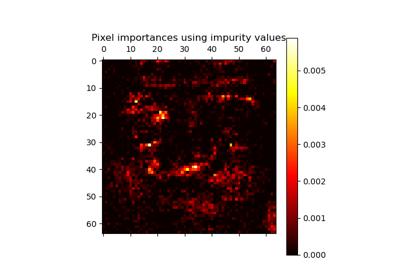 Each row corresponds to a ravelled face image of original size 64 x 64 pixels. 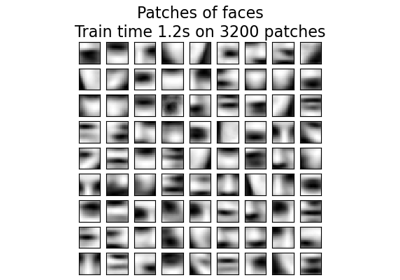 Each row is a face image corresponding to one of the 40 subjects of the dataset. Labels associated to each face image. Those labels are ranging from 0-39 and correspond to the Subject IDs. 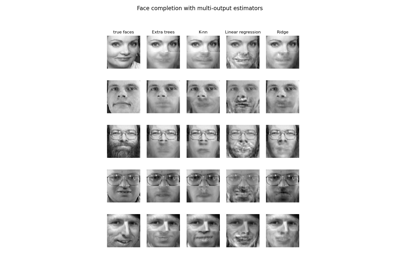 Description of the modified Olivetti Faces Dataset.